Jeremy Irons was a guest on Late Night with Seth Meyers, to promote Justice League, on Wednesday 15 November 2017. The New York Philharmonic’s three-week Bernstein’s Philharmonic: A Centennial Festival, saluting their beloved Laureate Conductor Leonard Bernstein, took place in November 2017. 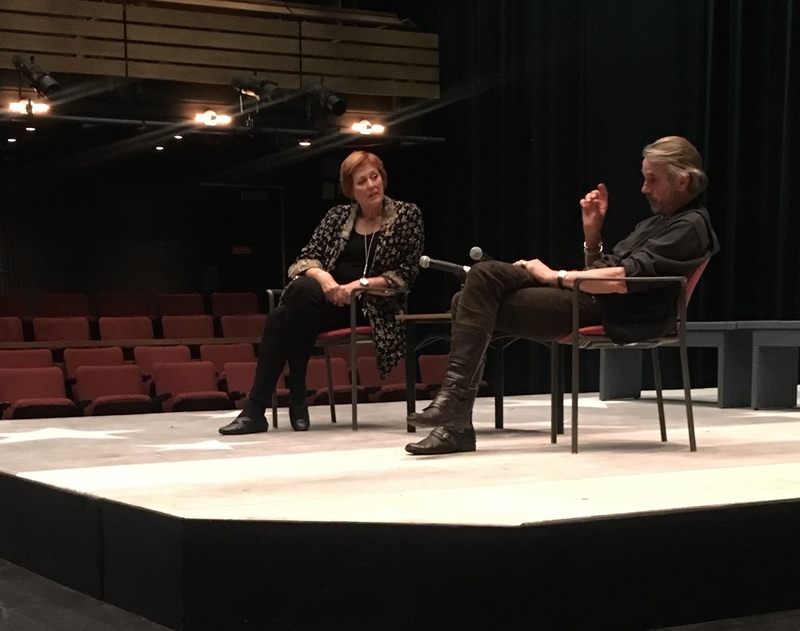 Jeremy Irons narrated Bernstein’s Kaddish Symphony at concerts on November 9, 11, 14 and 19. The first three concerts took place at David Geffen Hall in New York City. The November 19th concert took place at Hill Auditorium on the campus of the University of Michigan in Ann Arbor. All four concerts were conducted by Leonard Slatkin and featured Soprano Tamara Wilson. 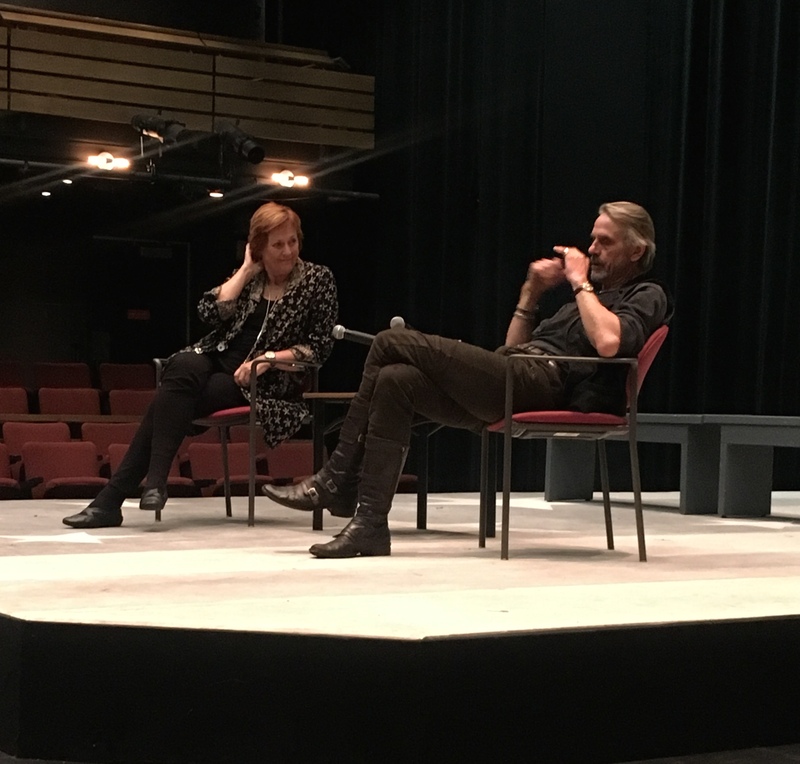 Jeremy Irons gave a talk for theatre students at the University of Michigan, on Saturday 18 November 2017. 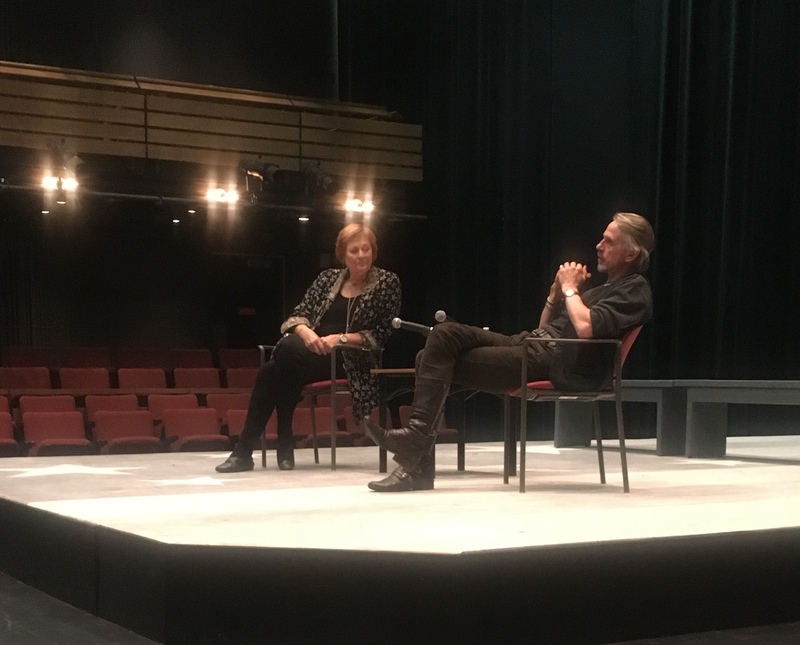 The informal interview/conversation was conducted by University of Michigan Assistant Professor of Theatre, Gillian Eaton. 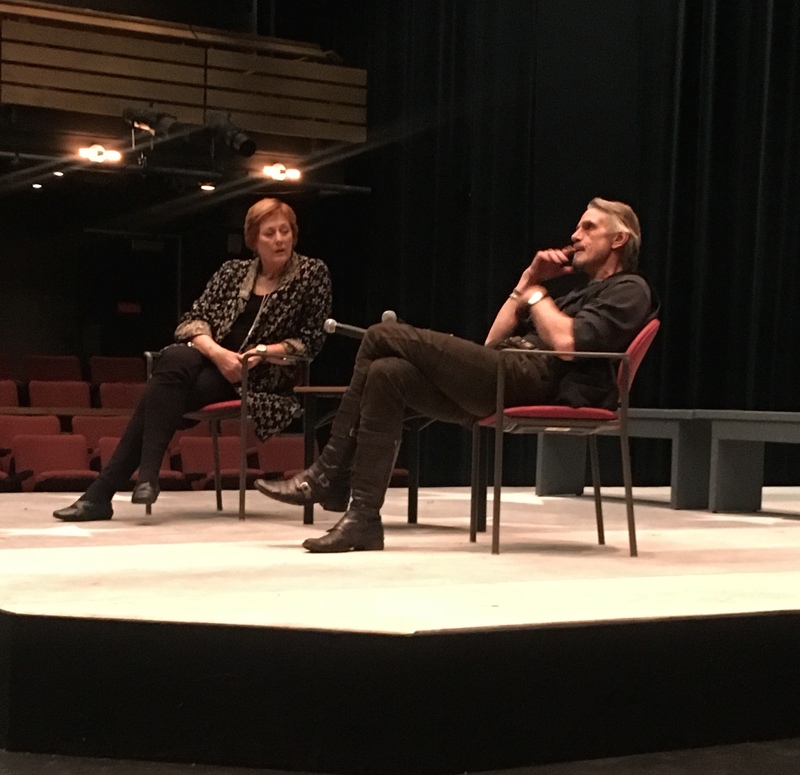 Jeremy and Gillian attended the Bristol Old Vic Theatre School together. 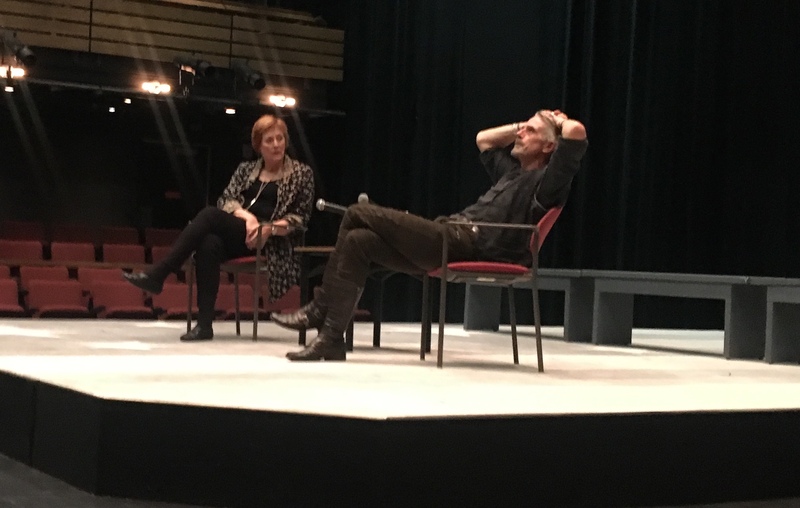 The talk was held at the Arthur Miller Theatre in the Walgreen Drama Center, on the north campus of the University of Michigan. Jeremy spoke to the students for about an hour and a half and he took questions from the students. 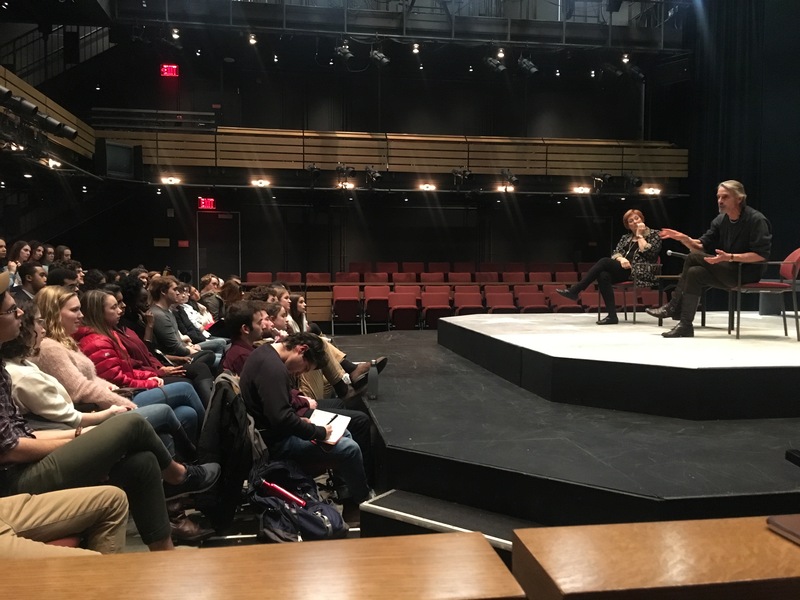 Jeremy discussed Justice League, “living to act” vs. “acting to live”, the differences between how film auditions used to be and how they are now, American theatre audiences vs. European theatre audiences, among many other subjects and anecdotes. 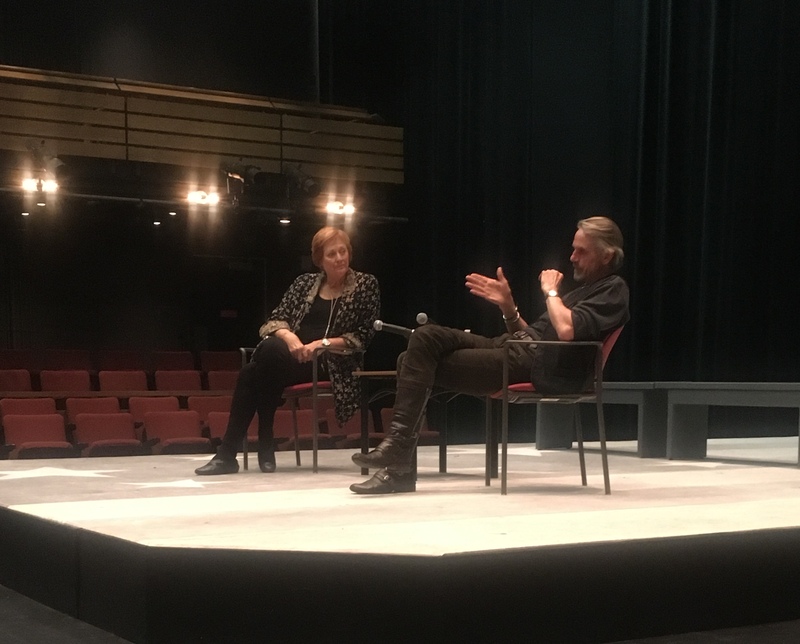 Jeremy stressed that what acting students do with their time when they’re not working is very important, as it informs them as a person and enhances their performances. 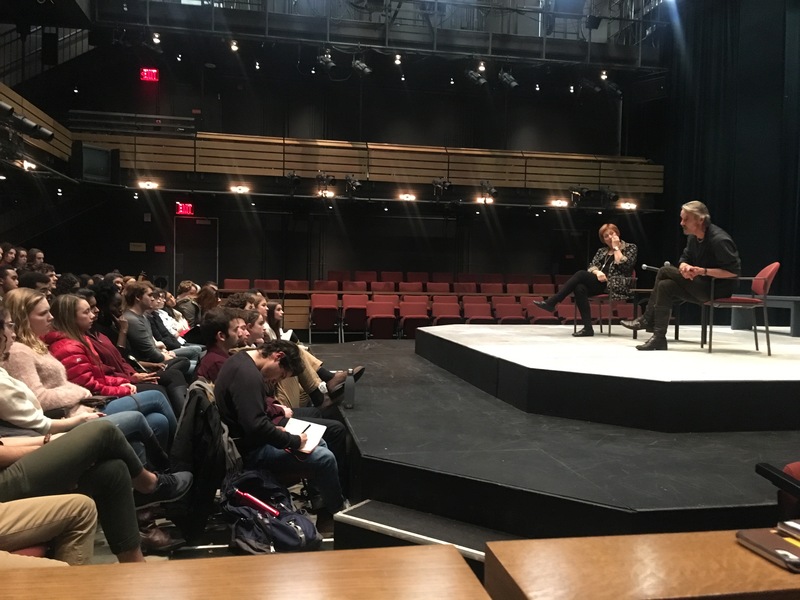 Thank you to Shannon Fitzsimons-Moen, from the University of Michigan, for these photographs. Jeremy Irons was a guest on Live with Kelly and Ryan, on Thursday 16 November 2017, to promote Justice League. Full casting and U.S. dates for Eugene O’Neill’s Long Day’s Journey Into Night have been announced. Jessica Regan will return to the role of Cathleen, having played her in the 2016 Bristol Old Vic production. Matthew Beard and Rory Keenan will join the company as Edmund Tyrone and James Tyrone Jr., alongside the previously announced Jeremy Irons and Lesley Manville, who will play James and Mary Tyrone in Richard Eyre’s acclaimed Bristol Old Vic production. The production will play a strictly limited ten week West End season at Wyndham’s Theatre from 27 January to 7 April before transferring to Brooklyn Academy of Music (BAM) Harvey Theater (8-27 May) and the Wallis Annenberg Center for Performing Arts in Los Angeles (8 June – 1 July). On November 9, 11, and 14, 2017, Leonard Slatkin conducts Bernstein’s Symphony No. 3, Kaddish – with Jeremy Irons as speaker, soprano TaMara Wilson in her Philharmonic debut, Concert Chorale of New York directed by James Bagwell, and Brooklyn Youth Chorus directed by Dianne Berkun Menaker – and Richard Strauss’s Don Quixote, featuring Principal Viola Cynthia Phelps and Principal Cello Carter Brey. Jeremy will also travel with the New York Philharmonic to the University of Michigan in Ann Arbor for a performance on Sunday 19 November. 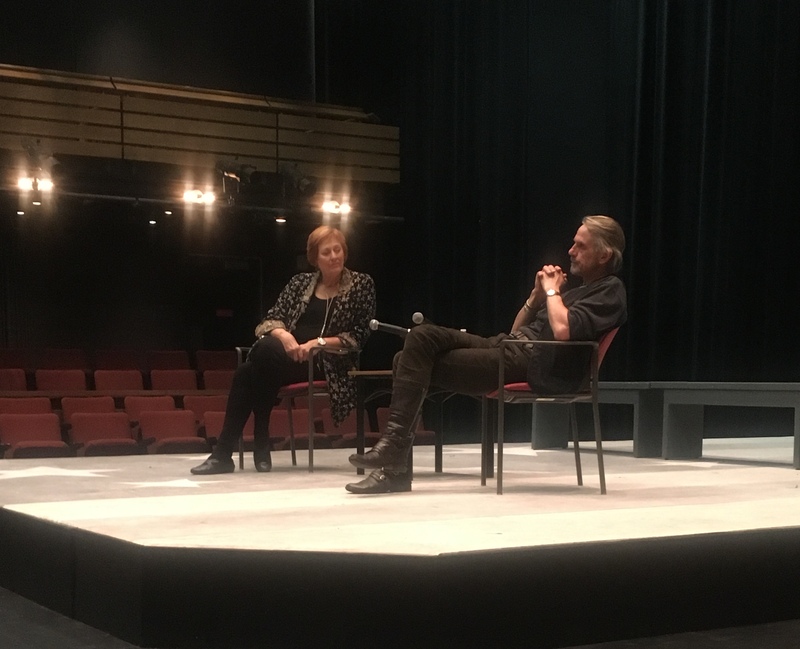 These performances of the Kaddish Symphony will feature Jeremy Irons reciting the 1977 revised version of Bernstein’s text, in which he made it possible for the speaker to be either a woman or a man. Bernstein dedicated his Symphony No. 3, Kaddish, to the memory of President John F. Kennedy, who had been assassinated less than three weeks before the Israel Philharmonic Orchestra premiered the work in December 1963. In the Jewish liturgy, Kaddish is used as a prayer for mourners, although it never explicitly mentions death. The structure and content of the Kaddish Symphony reflect Bernstein’s complex relationship with religion and his nuanced reflections on faith and mortality. He led the New York Philharmonic in The New York Premiere of the work in April 1964.